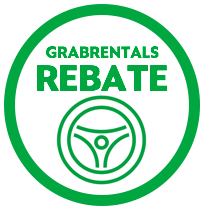 This program can be combined with $150/week GrabRentals Rental Rebate (till 30 Sep 2017) and $100/week GrabRentals Rental Rebate for the remaining contract. The program will start after the contract start date. Drivers who do early termination of the Program at any time within the duration of the Program must return the vehicle and the consequences of early termination under the Rental Contract will apply. Any benefits, rewards, and incentives under the Program will automatically be void and forfeited and the Driver will not be allowed to re-opt in for the same Program. Drivers who do early termination of the Program will not be eligible for incentives higher than or equal to those in the SteadyOne scheme until 6 months have passed since the initial SteadyOne sign up date. 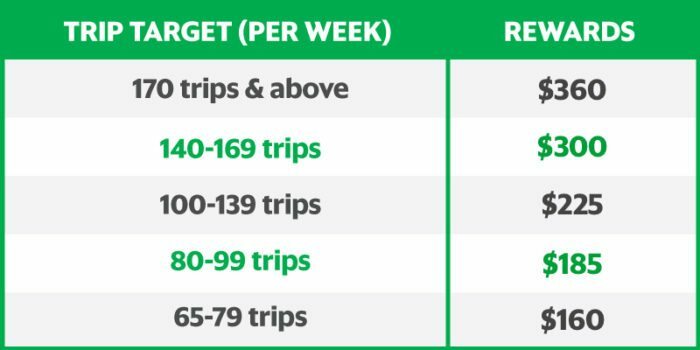 Exclusivity Requirement: Drivers who opt into this Program agree not to use their vehicle for any commercial activity other than solely for the purposes of providing transportation services requested by Grab users via the Grab app. 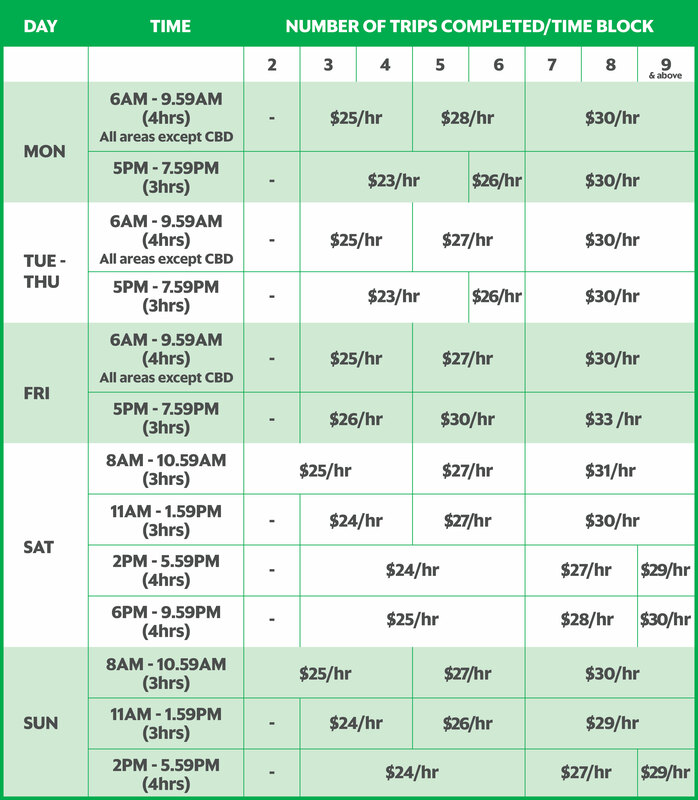 Drivers found to be in violation of this Exclusivity Requirement and/or Grab’s Code of Conduct agree and acknowledge that Grab reserves the absolute right and option to terminate this Program, forfeit and void any incentives that are unpaid by Grab, as well as claim back any incentives that have been paid (including through deduction from Rental Contract deposit and/or driver wallet). Acceptance Rate of 90%, Cancellation Rate of 10% and below, and a minimum Driver Rating of 4.3 required. Grab’s decisions in the execution of this Program shall be final and conclusive – requests for appeal or review will not be entertained. Grab reserves the right to withdraw, amend and/or alter any part or the whole of the terms and conditions of this Program at any time without prior notice. Any and all rights of Grab under this Program and these terms and conditions may be exercised by Grabcar Pte. Ltd., Grab Rentals Pte. Ltd. and any related company of either of them.